A lot of us work to music. I used to play music to help get me get going, to start the flow – mostly music without words, and especially guitar or piano. Once I got involved in the writing, the music would fade from consciousness (but maybe stay in subconsciousness). I’d know it worked when I stop for a break and notice I’d gotten to the end of the cassette or CD or playlist. Lately music when I write has felt distracting. But music when I take a break, cook a meal, or drive feels essential. The acknowledgments pages of The Routes of Man are full of people who helped me, in some way, to write the book. 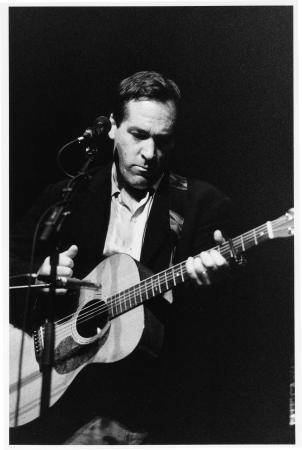 Since the first finished book arrived in my mailbox last week, I’ve been thinking about a musician whose name really should be in there, but isn’t: Richard Shindell. I listened to Shindell’s music a lot (ask my kids!) during the writing of Routes. He’s unusual in many ways – he lives in Argentina, he’s a former Catholic seminarian (who’s clearly not finished with religion), and – this one resonates a lot with me – his lyrics are frequently in the voice of a person you wouldn’t expect. “Fishing,” for example, is sung from the perspective of an immigration officer interrogating a Latino Indian. The singer/narrator of “Courier” performs that risky job for the British military in World War I. Shindell also stands apart from male singer-songwriters of his generation by virtue of not having many “road songs.” I write in the Introduction to Routes about the road songs I grew up with in the ’60s and ’70s – “Gentle on My Mind” by John Hartford, “By The Time I Get to Phoenix” by Jimmy Webb, “Please Come to Boston,” by Kenny Loggins, and endless country music songs. 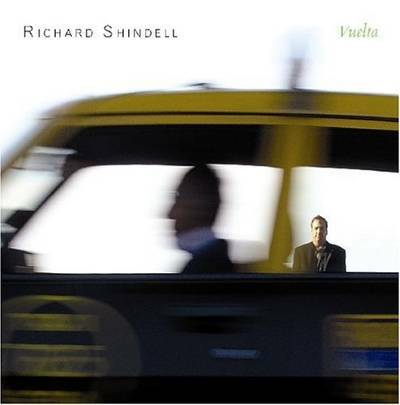 Album cover of Shindell's "Vuelta"
The other is “Last Fare of the Day.” My favorite lines from it are his description of driving an elderly couple home to New Jersey from Manhattan at night, over the George Washington Bridge. His most haunting song, to me, might have inspired Cormac McCarthy when he was conceiving his novel The Road. It’s called “You Stay Here.” The narrator is a man in a state of fear and privation, living outdoors, and speaking apparently to his wife. I would quote more but I don’t want to run afoul of fair use restrictions… and there’s no substitute for hearing it yourself. I love Shindell, too, Ted – and only learned of him because of Pandora’s music shuffle. Thanks for posting about him. He deserves a bigger audience.